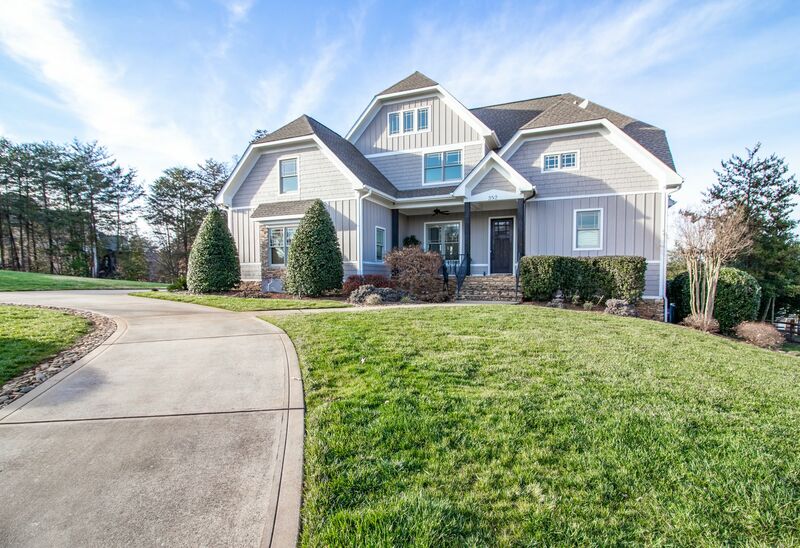 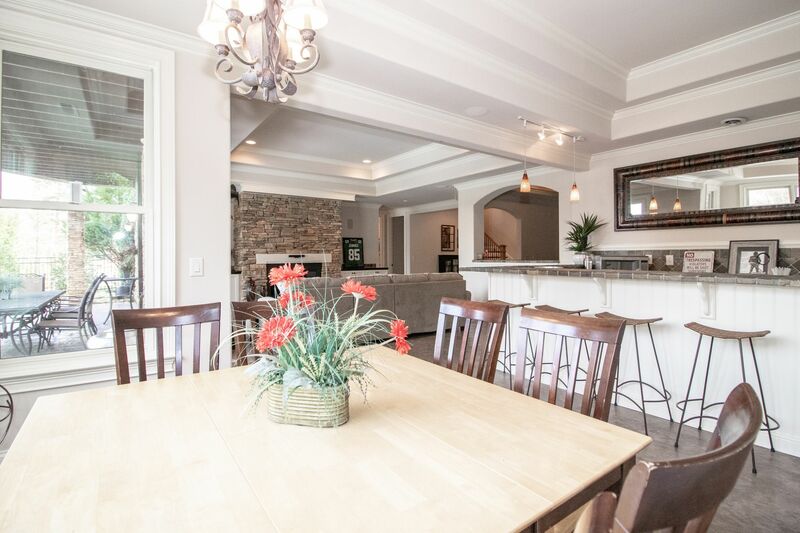 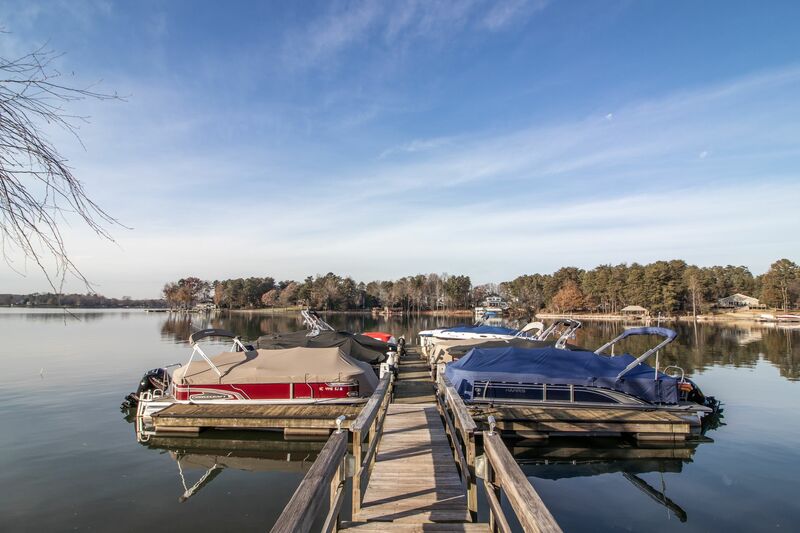 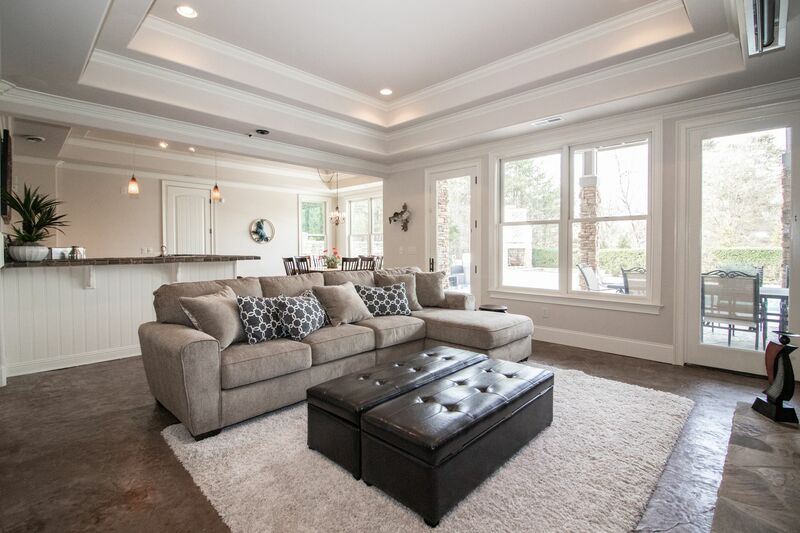 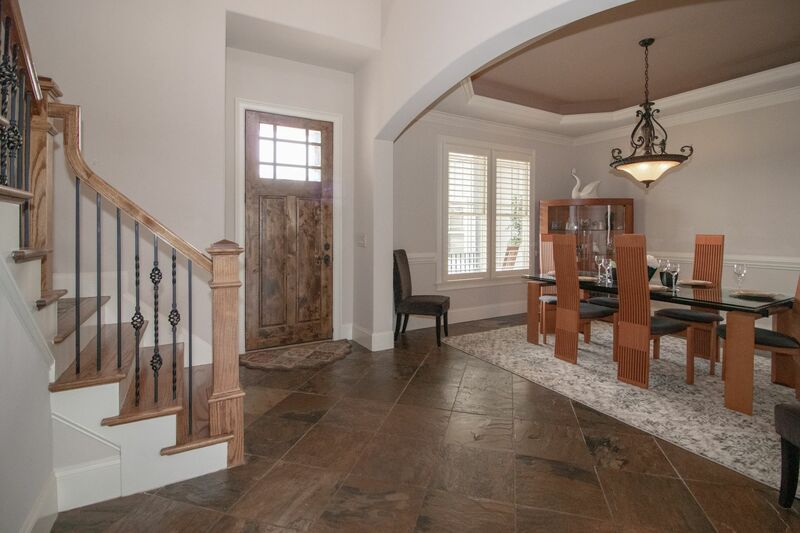 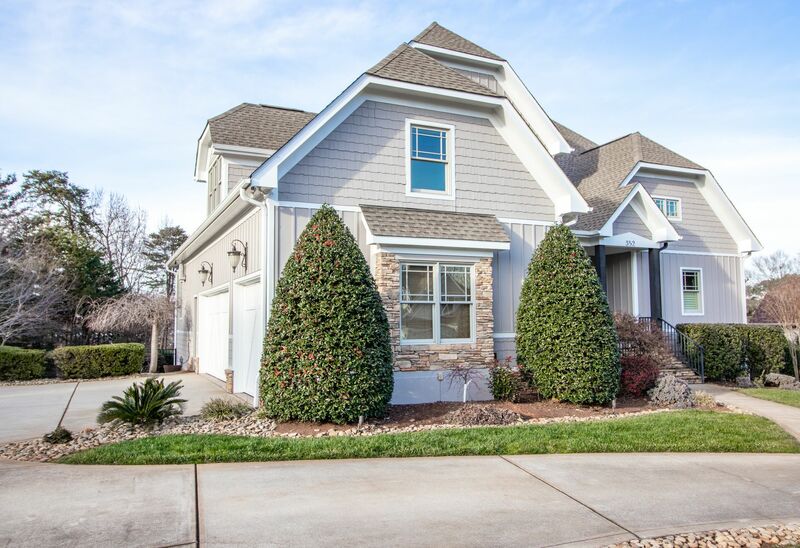 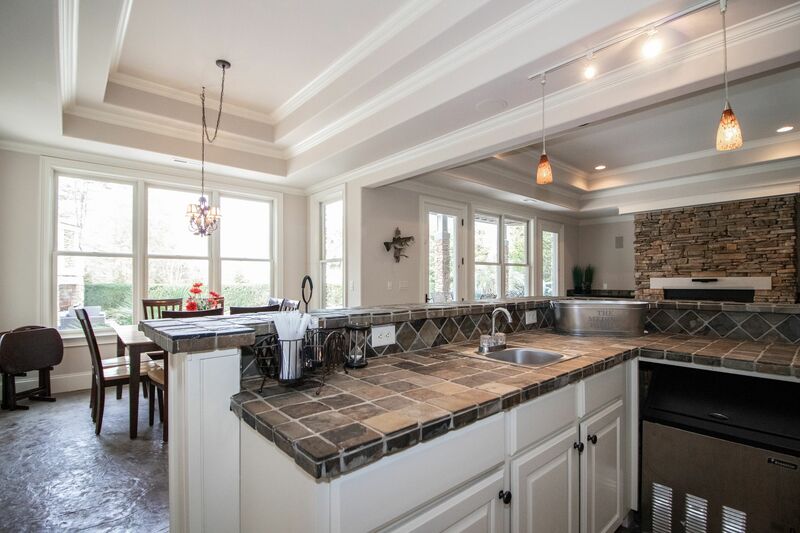 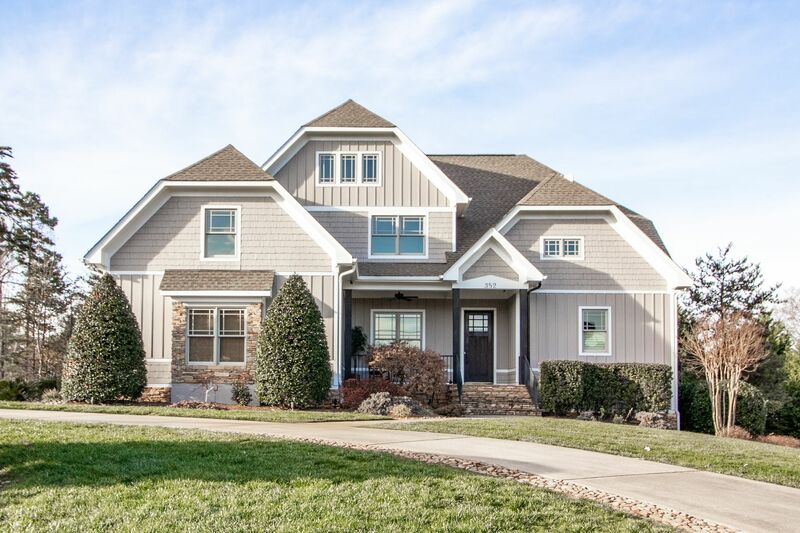 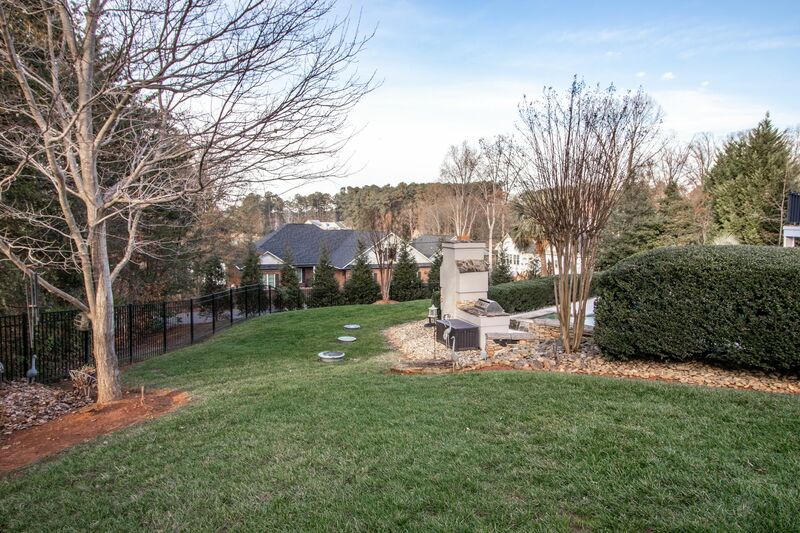 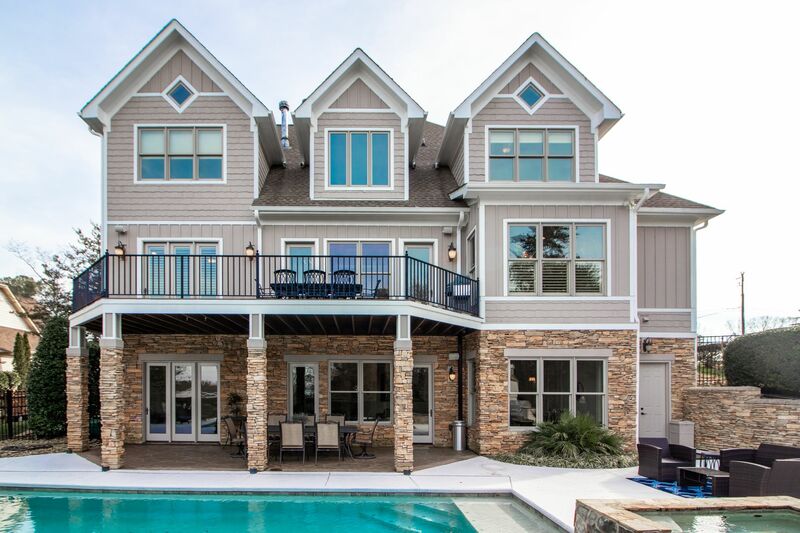 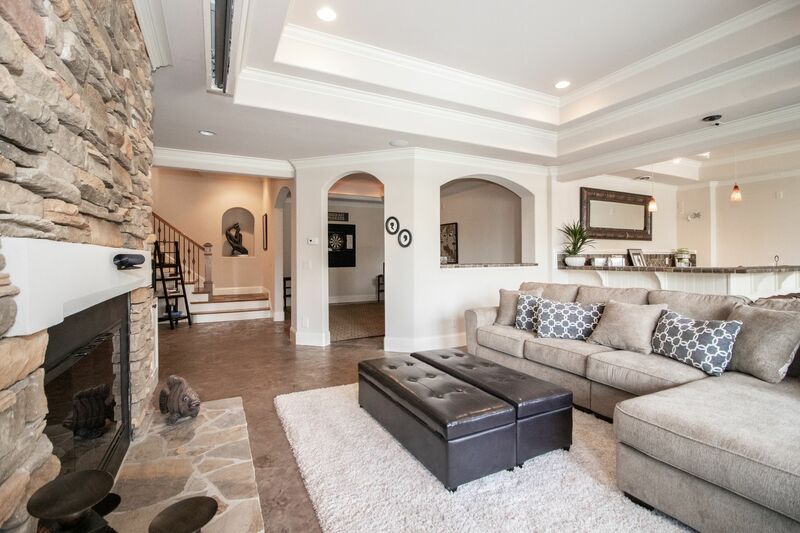 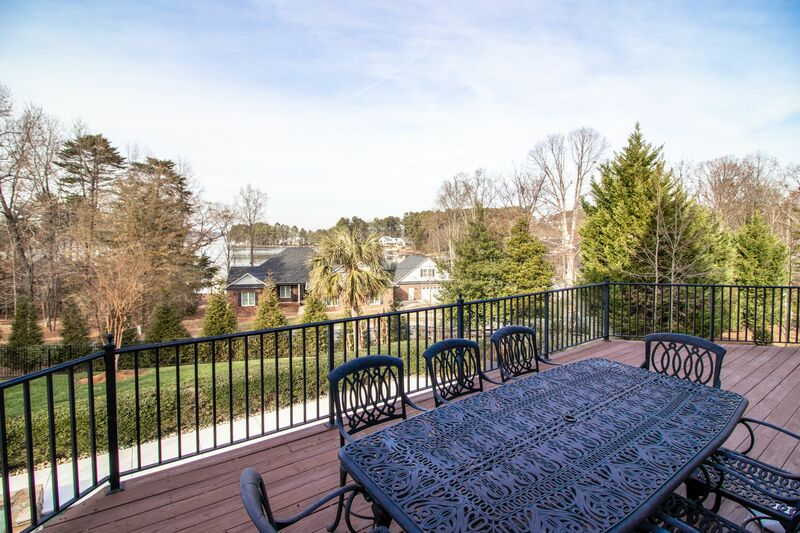 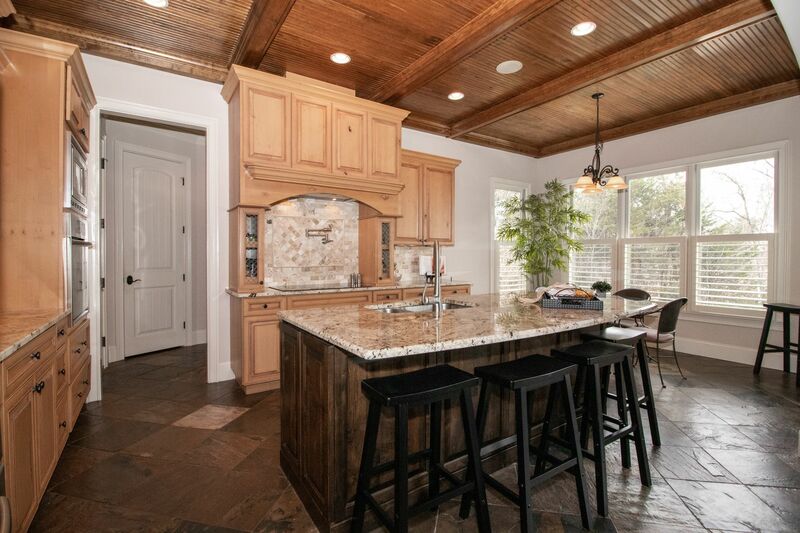 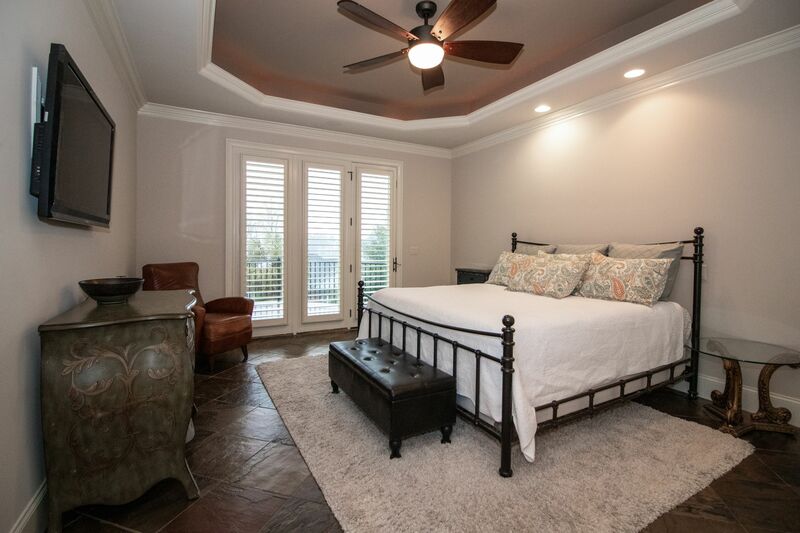 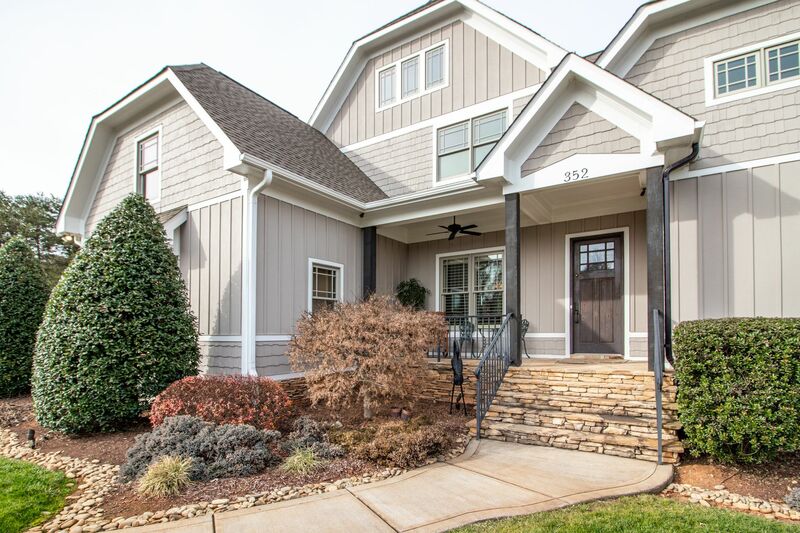 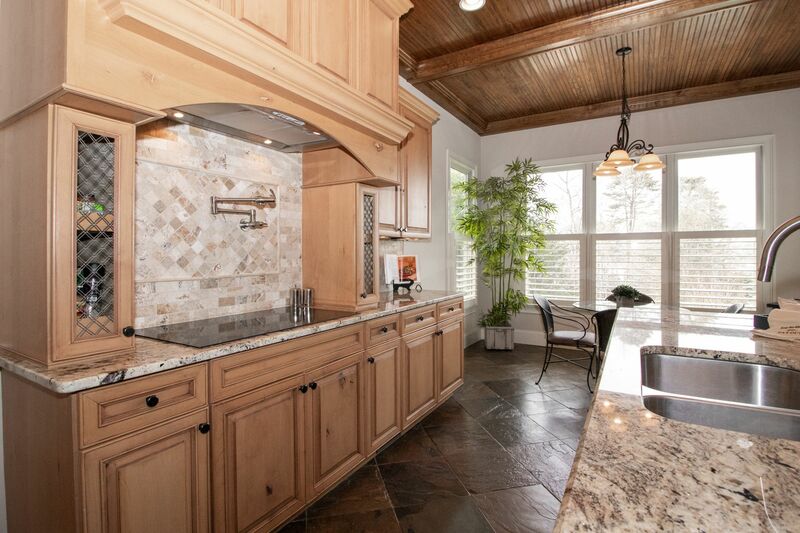 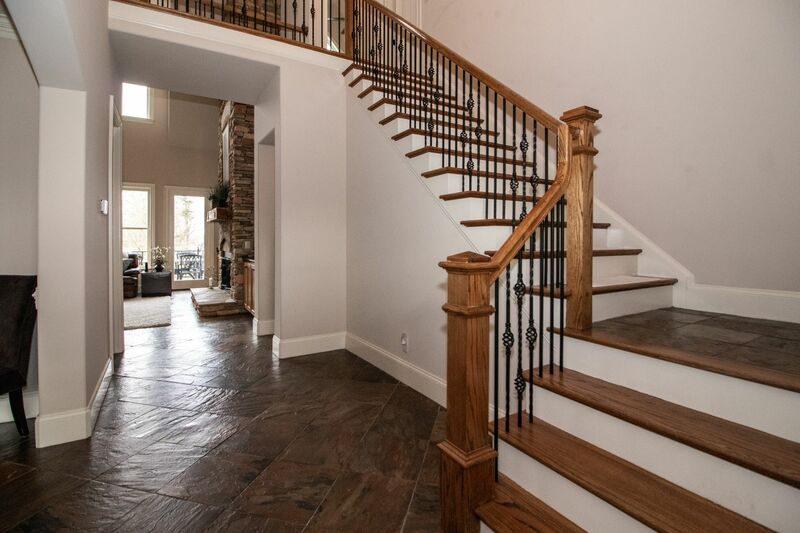 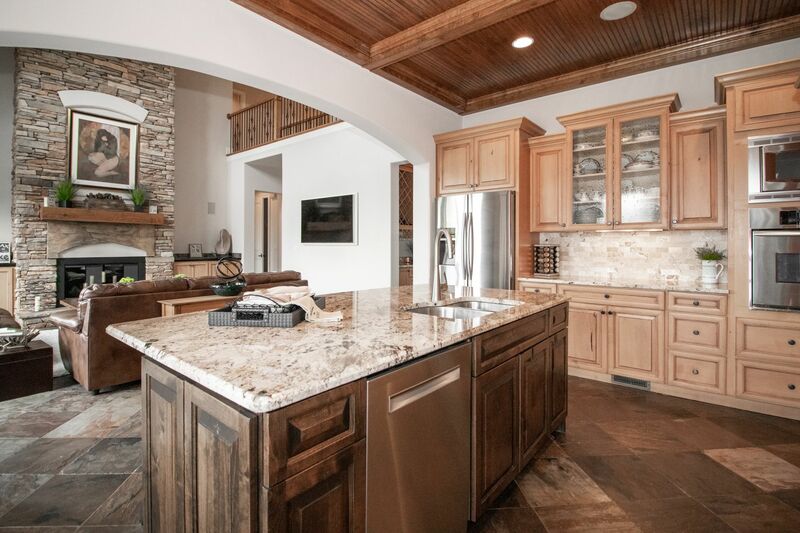 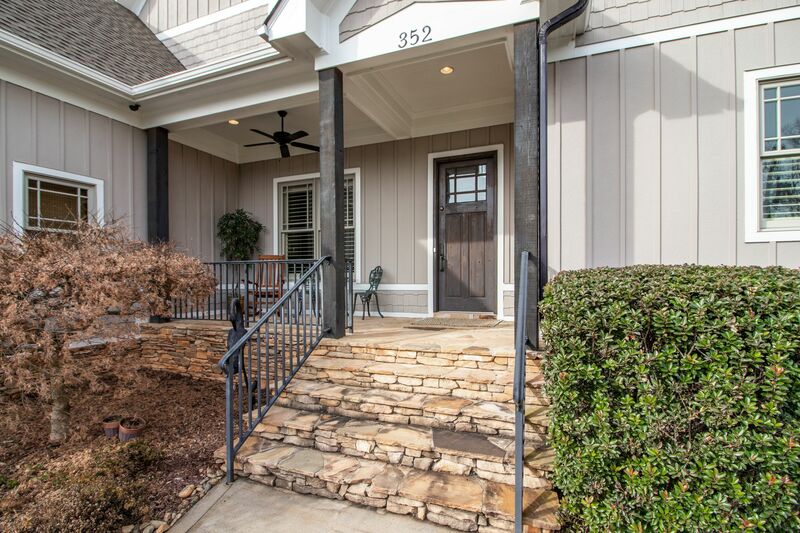 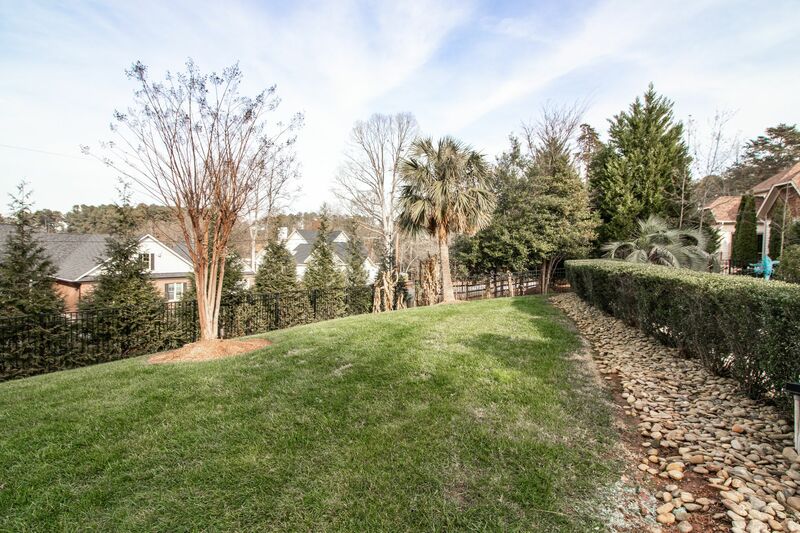 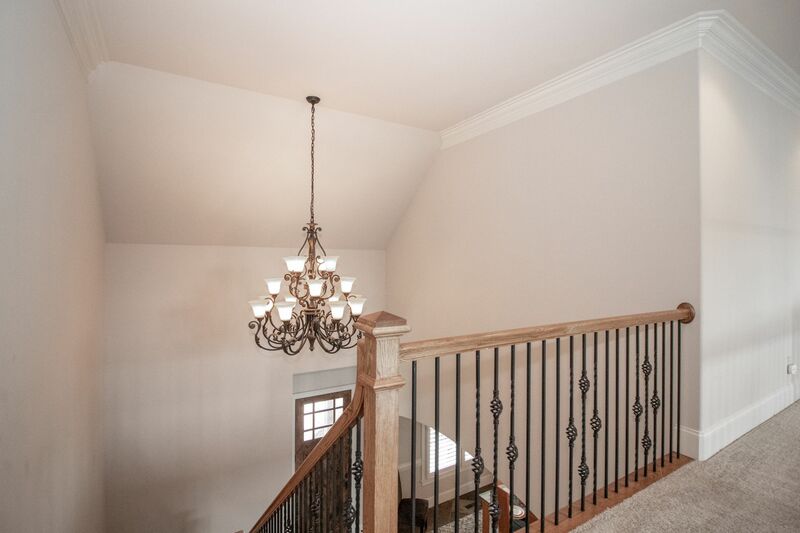 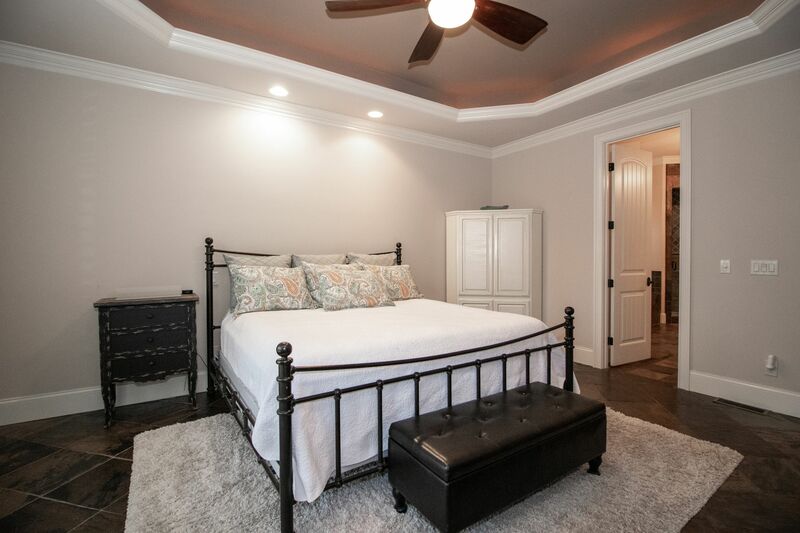 Enter this stunning 4BR, 4.5BA home w/a 2 story entrance. 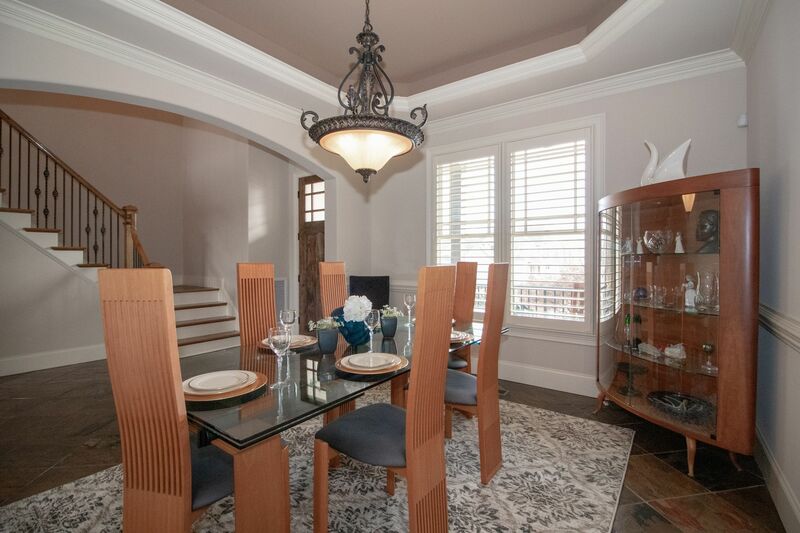 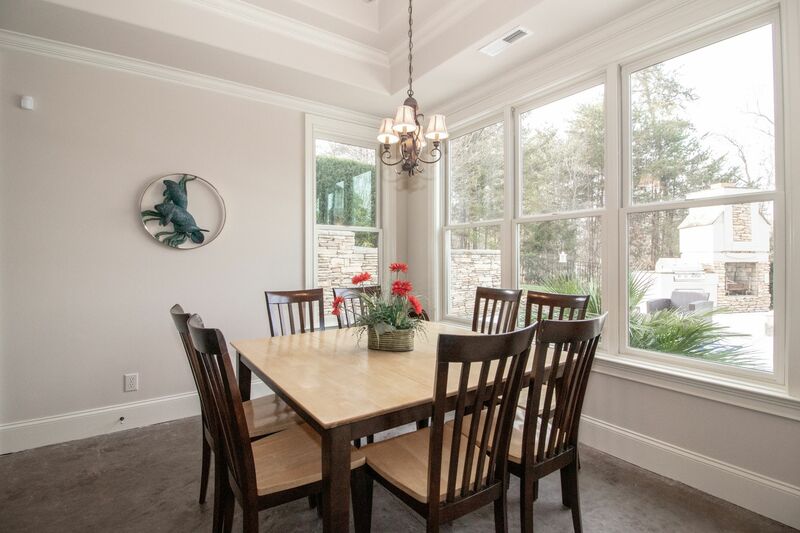 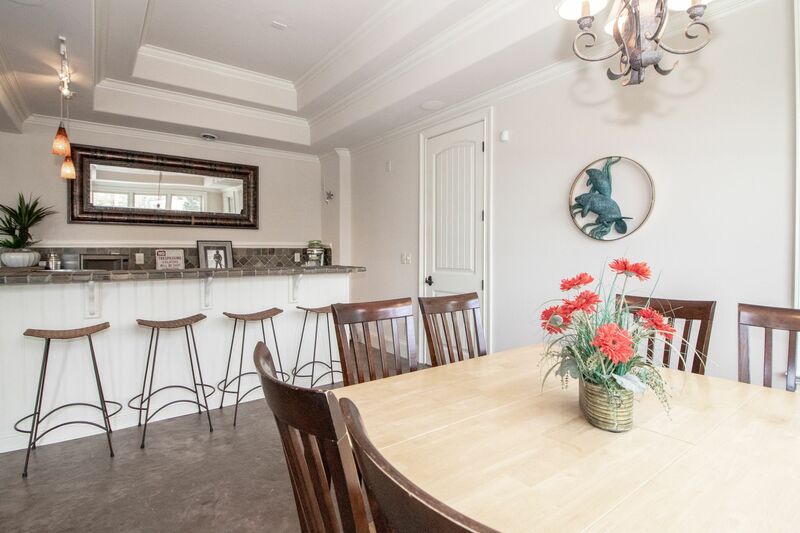 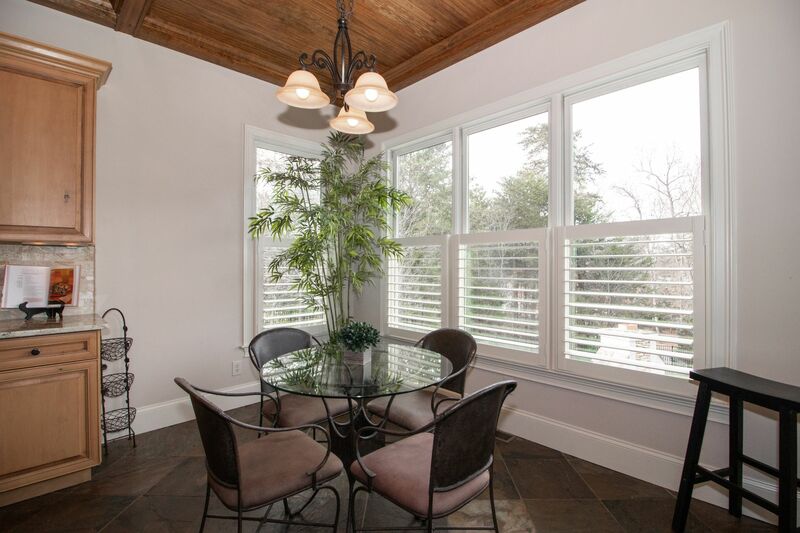 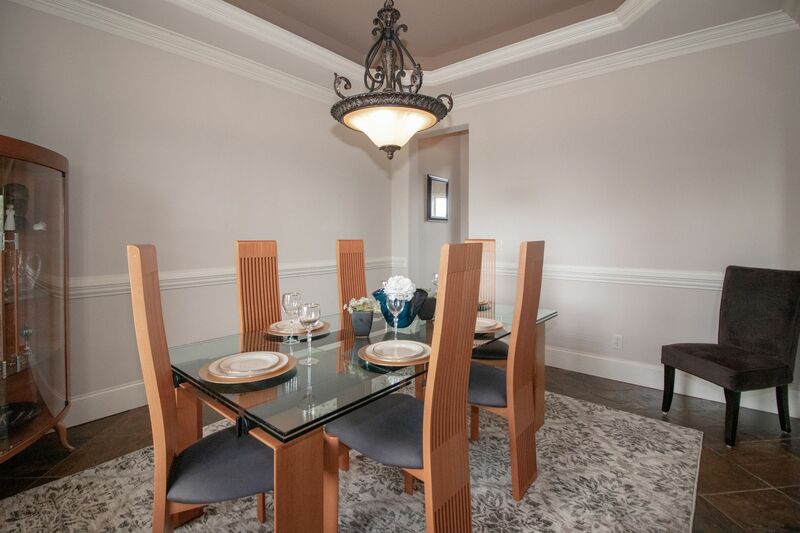 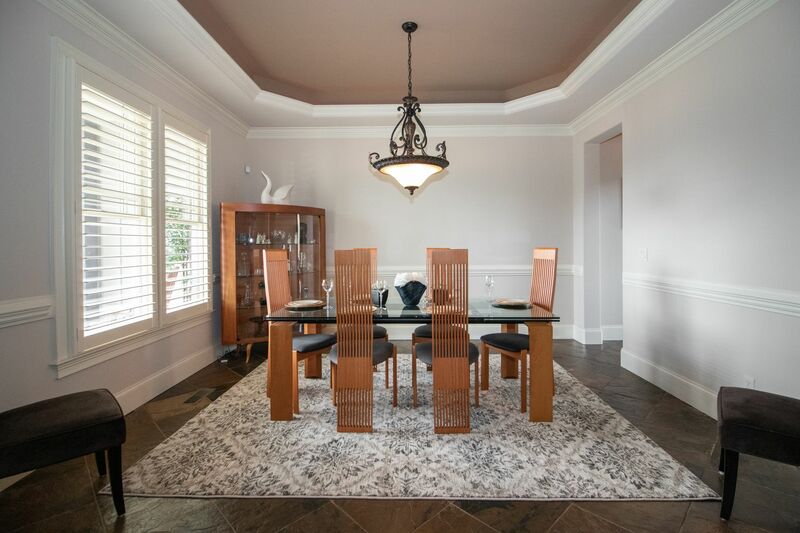 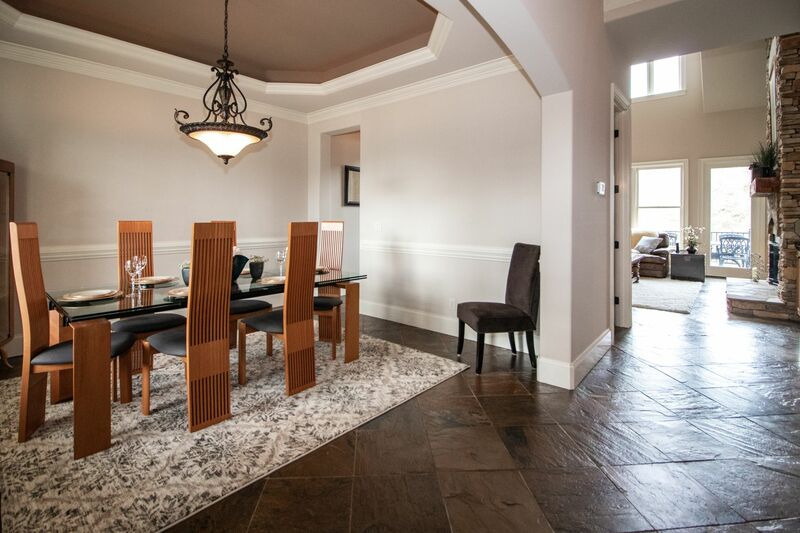 Exquisite dining room w/lighted tray ceiling. 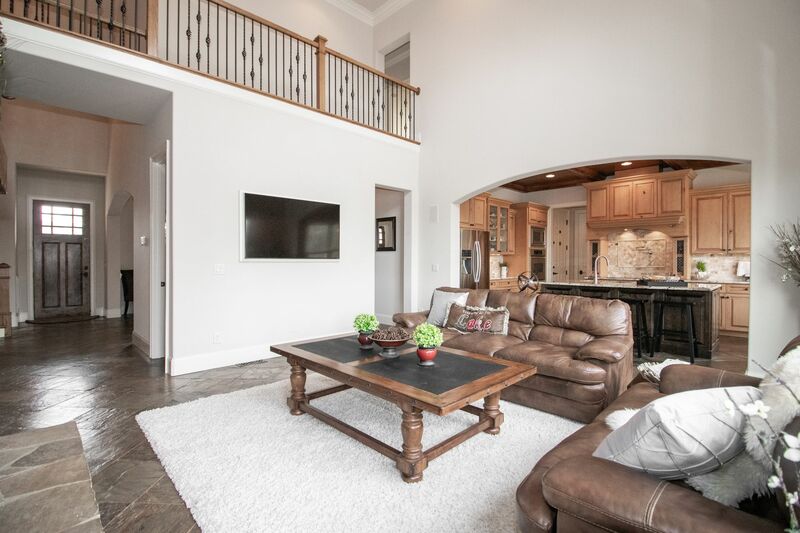 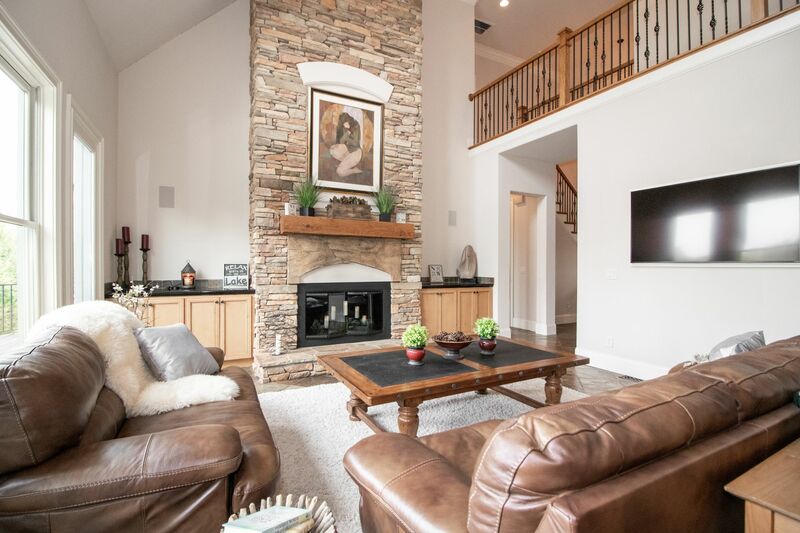 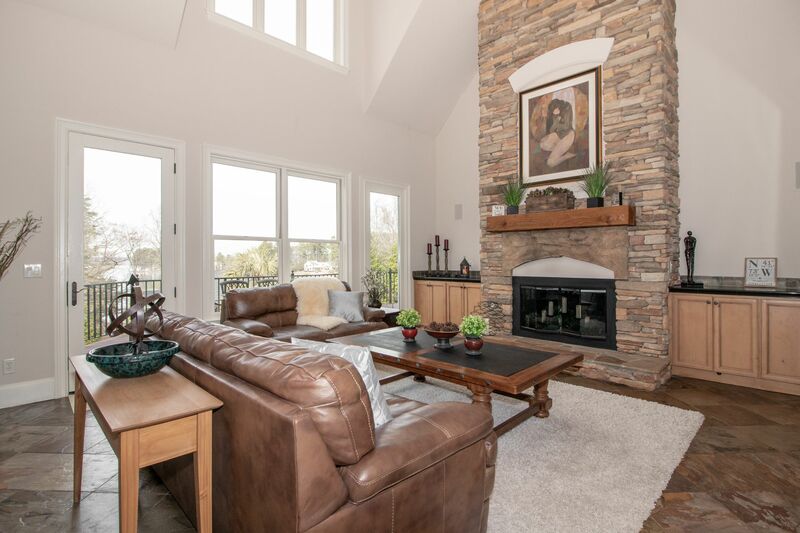 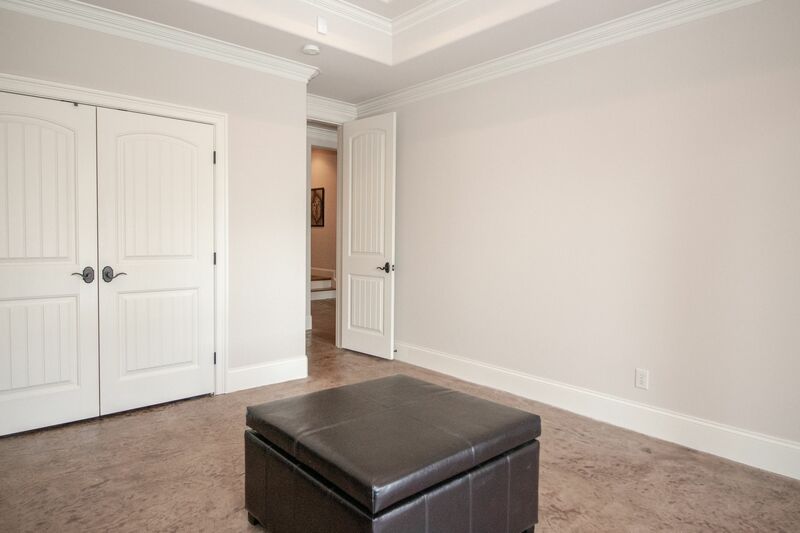 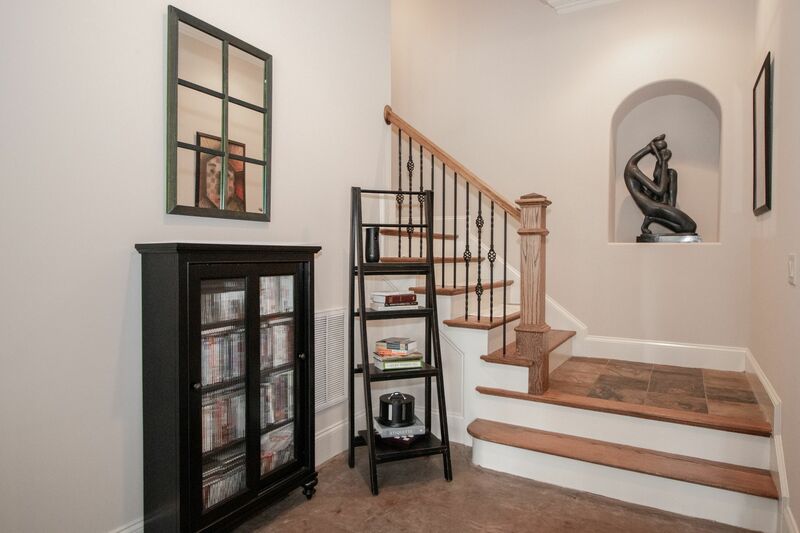 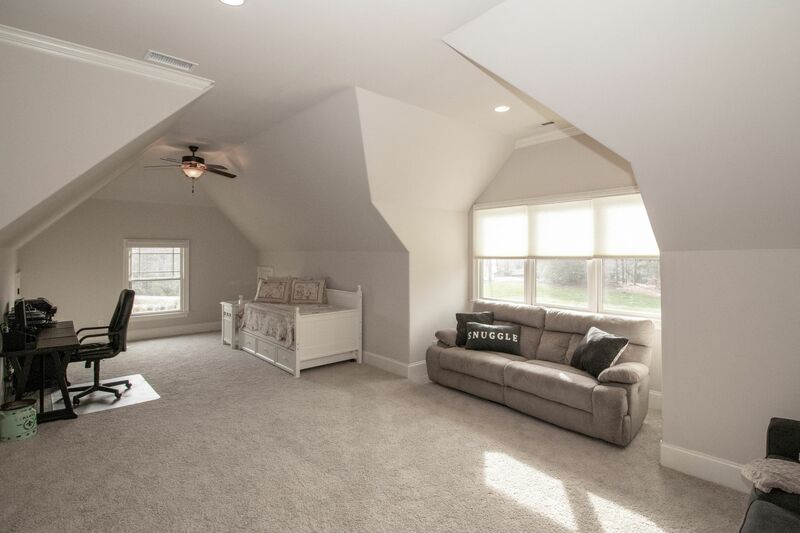 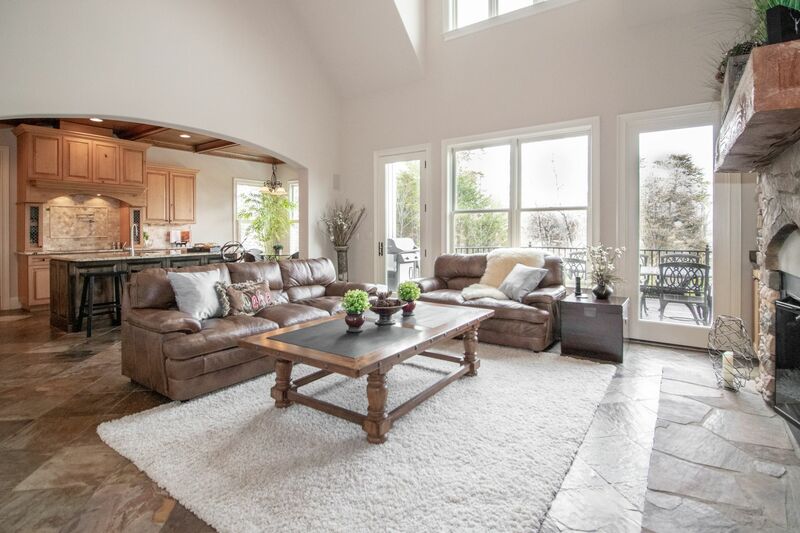 2 story great room w/2 story stone FP & built-ins on both sides. 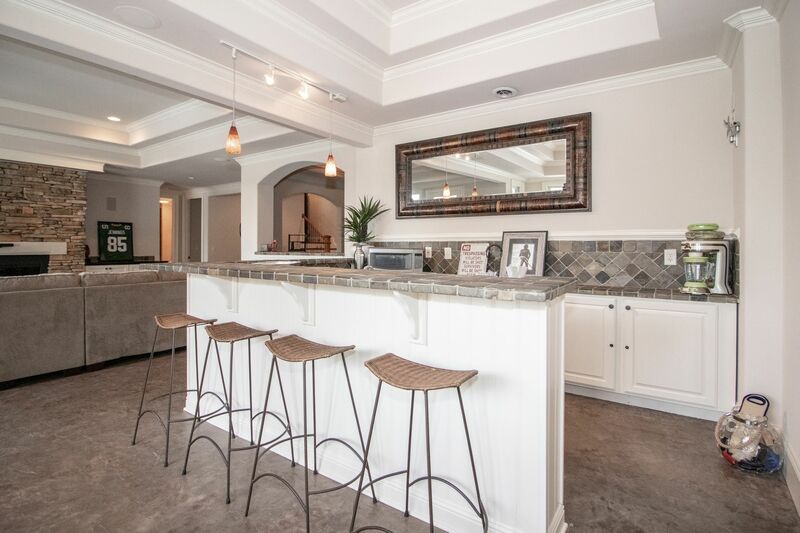 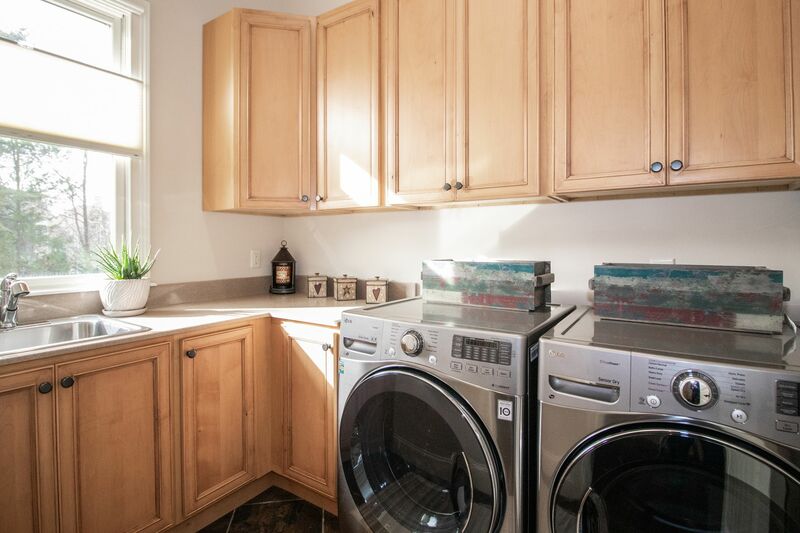 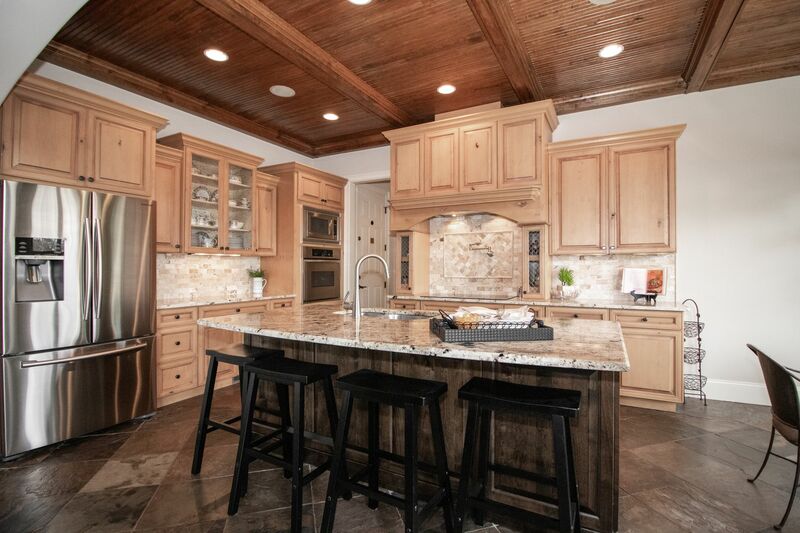 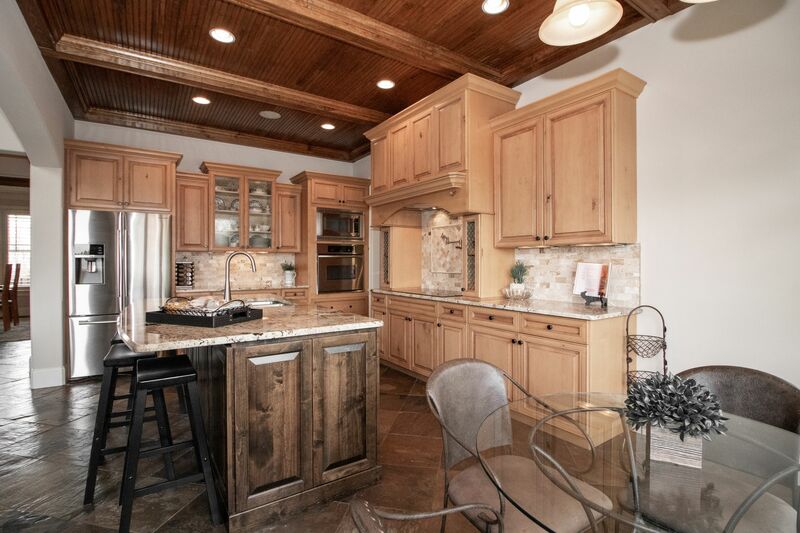 Open to kitchen w/induction cook top, pot filler, stainless appliances, granite counters & large working island w/seating. 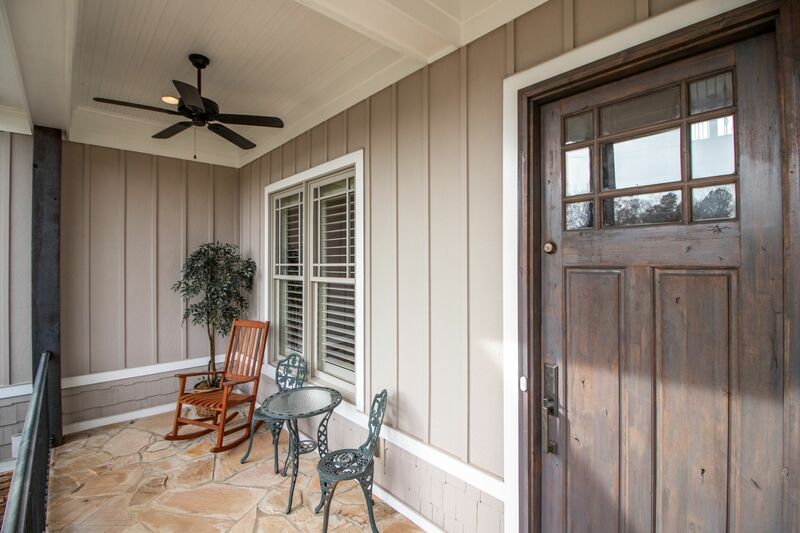 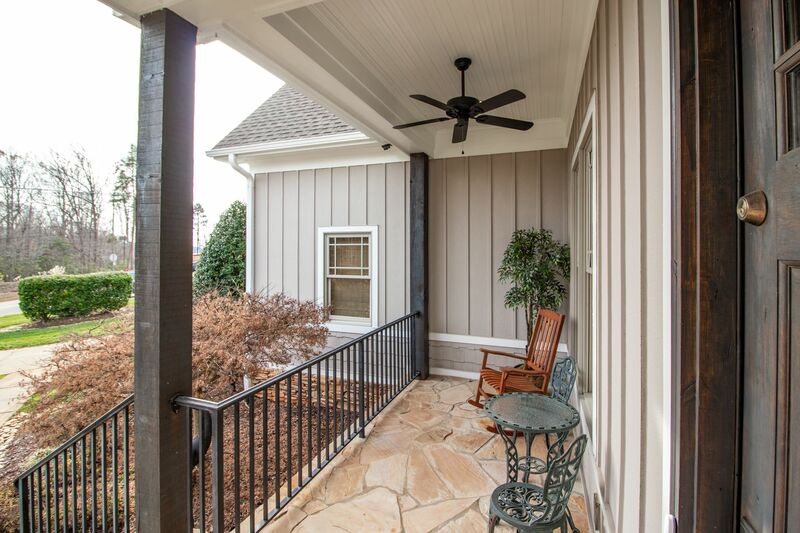 Master on main w/lighted tray and door to outside balcony. 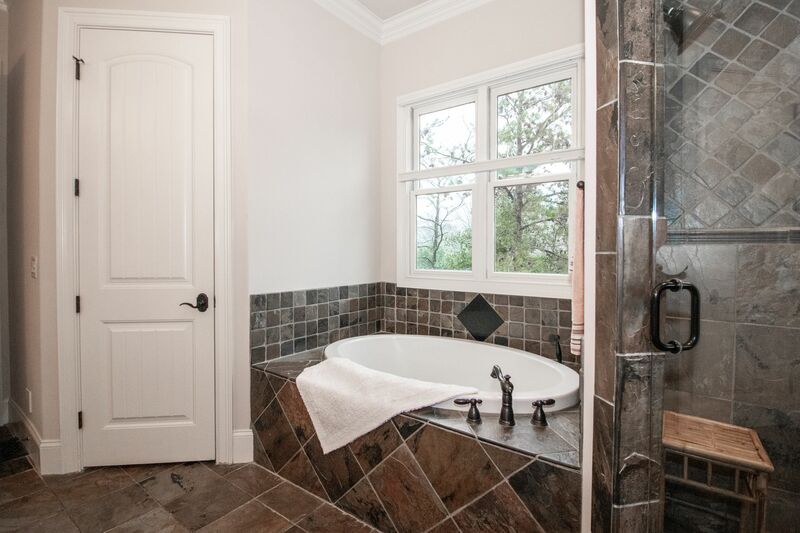 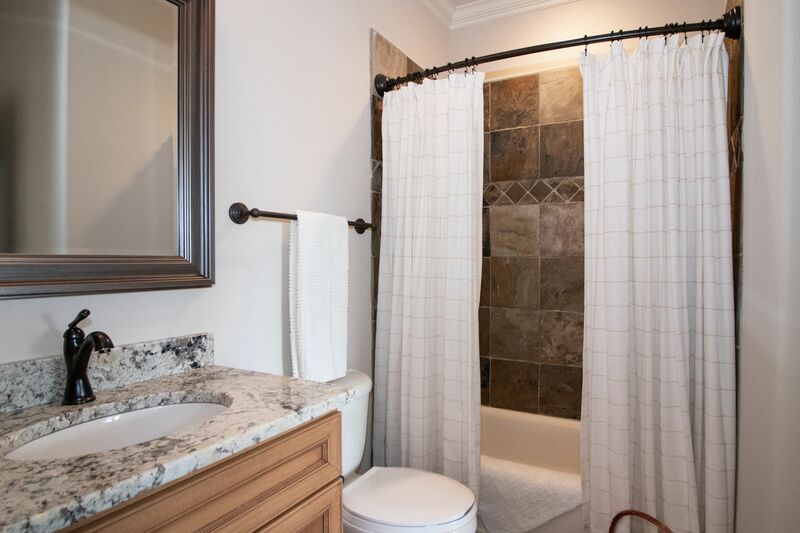 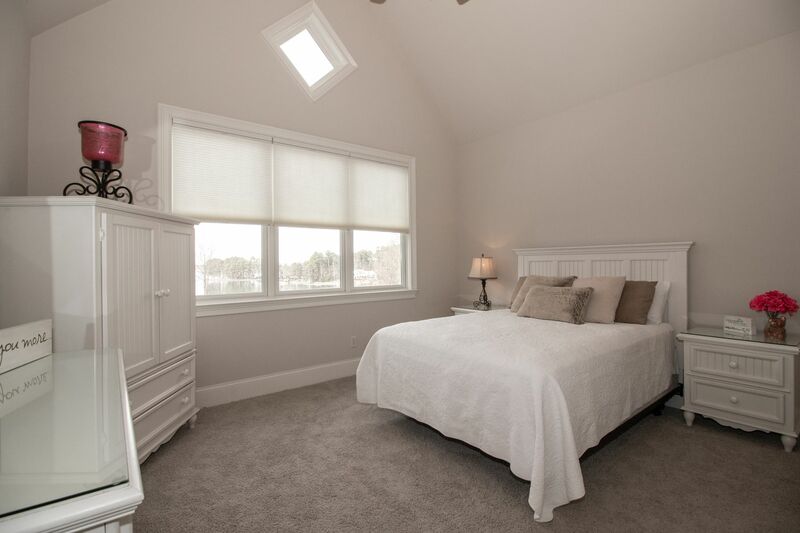 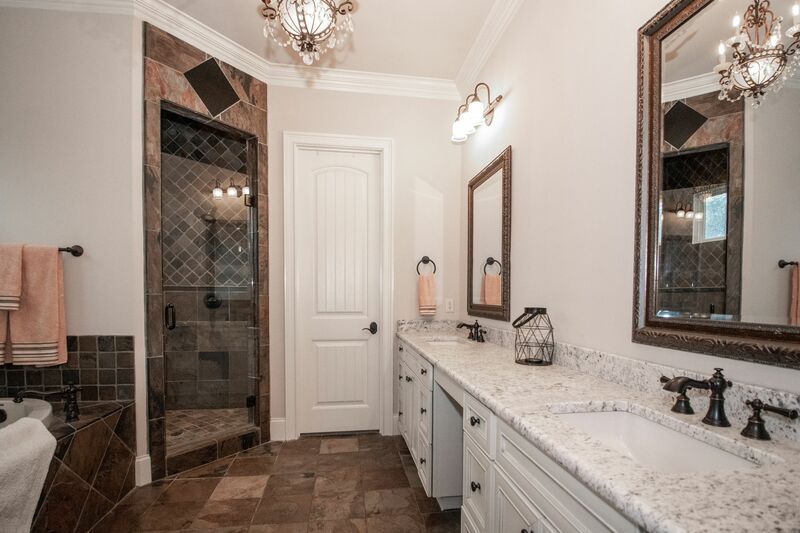 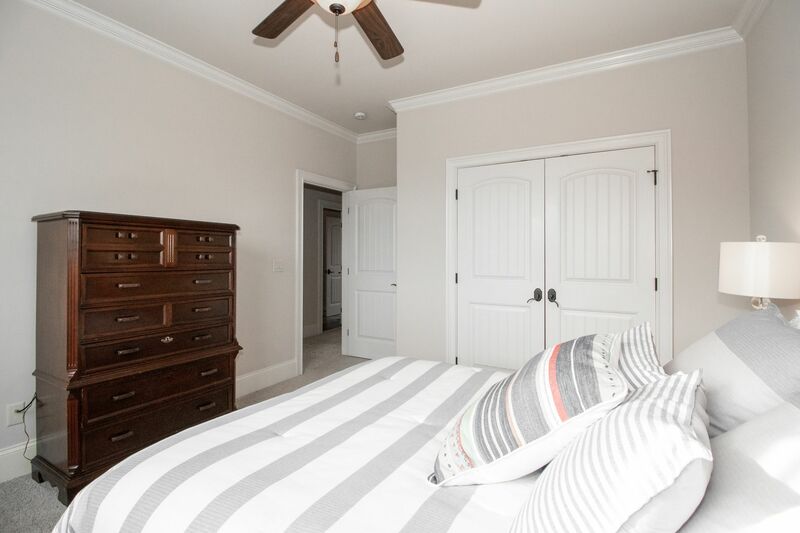 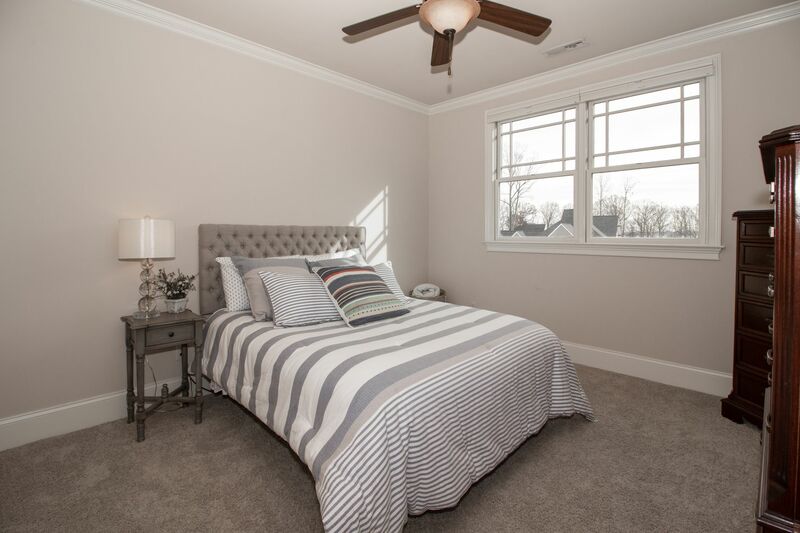 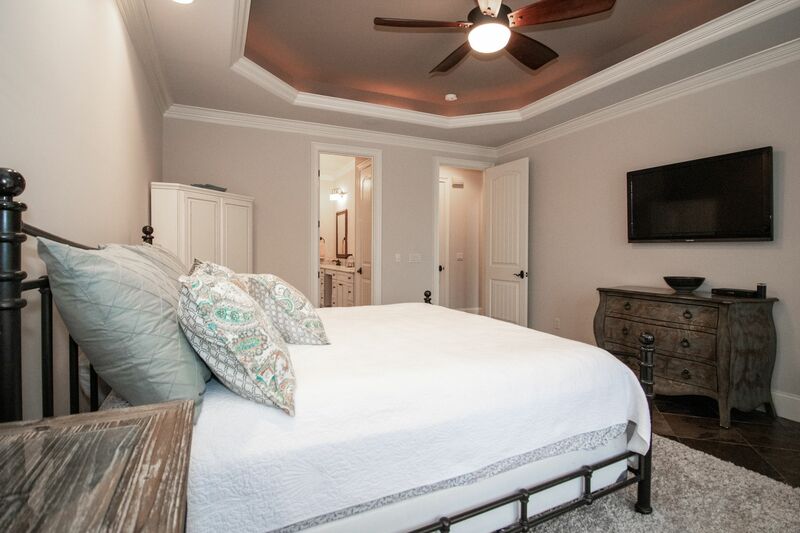 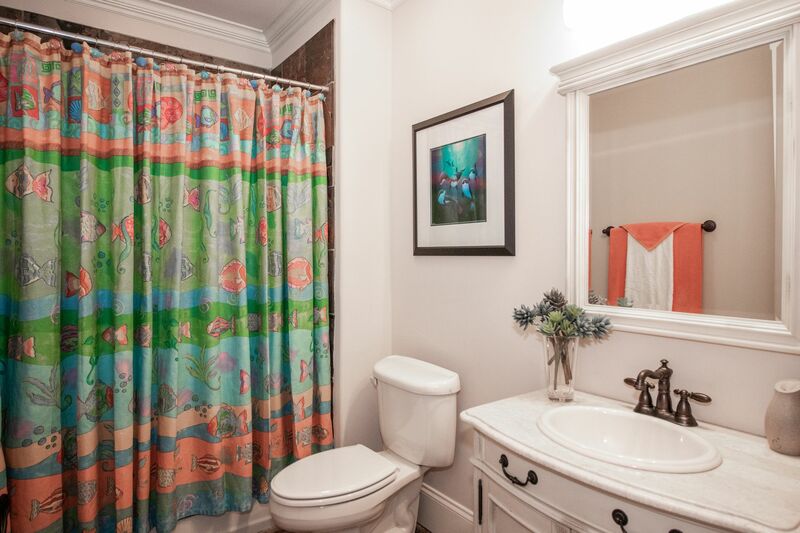 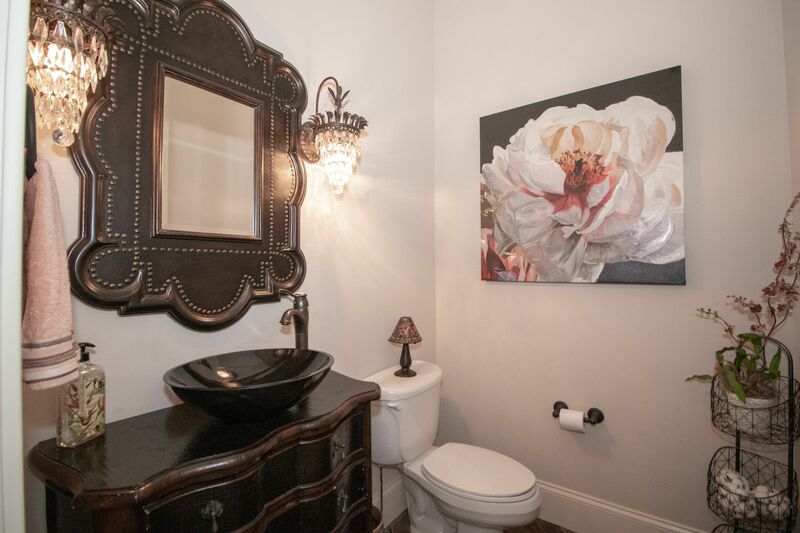 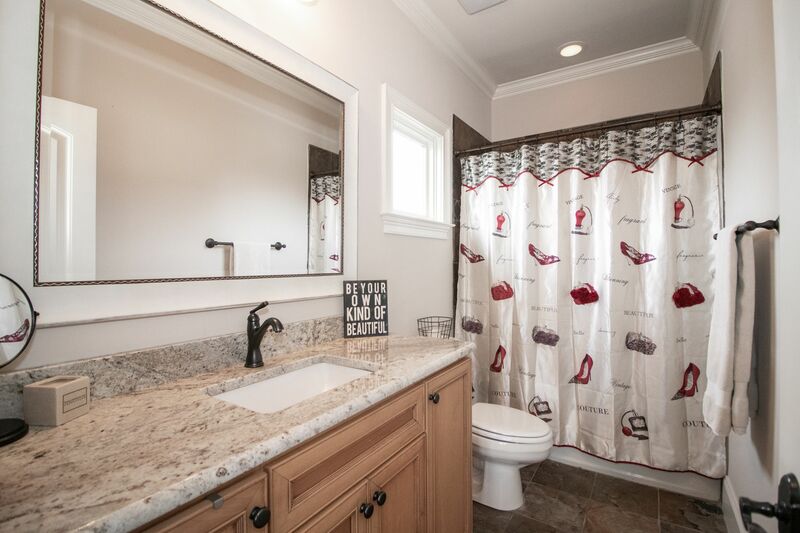 Ensuite bath w/dual sinks, granite, jetted tub, tiled shower, linen closet & walk-in closet w/built-ins. 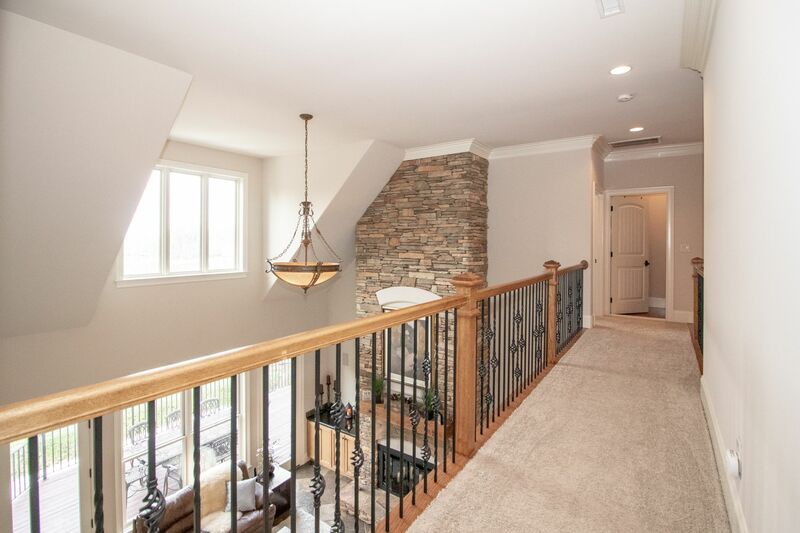 Upper level features catwalk overlooking GR. 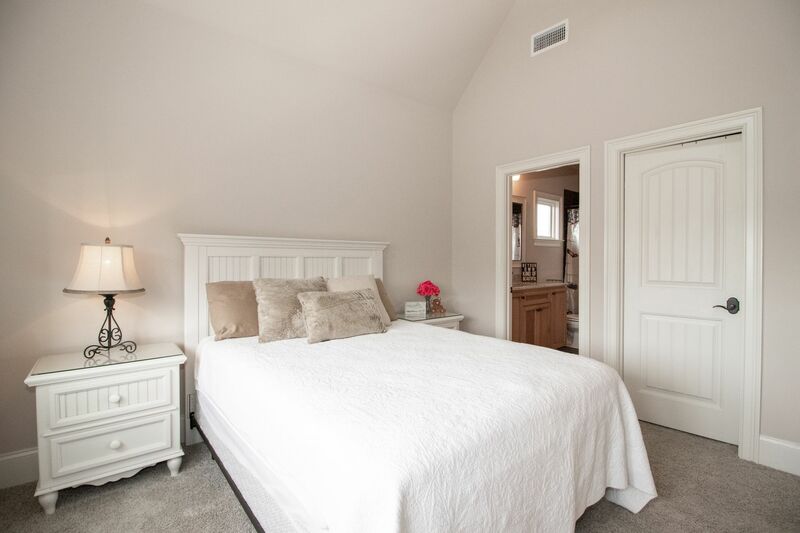 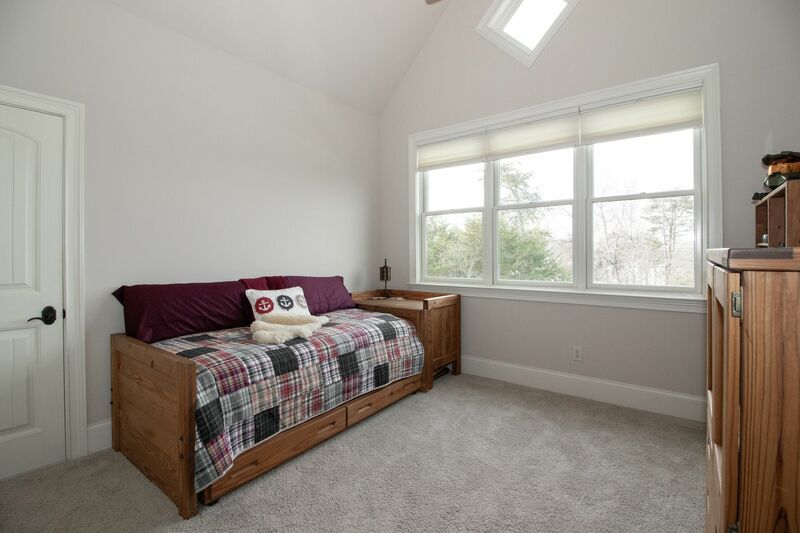 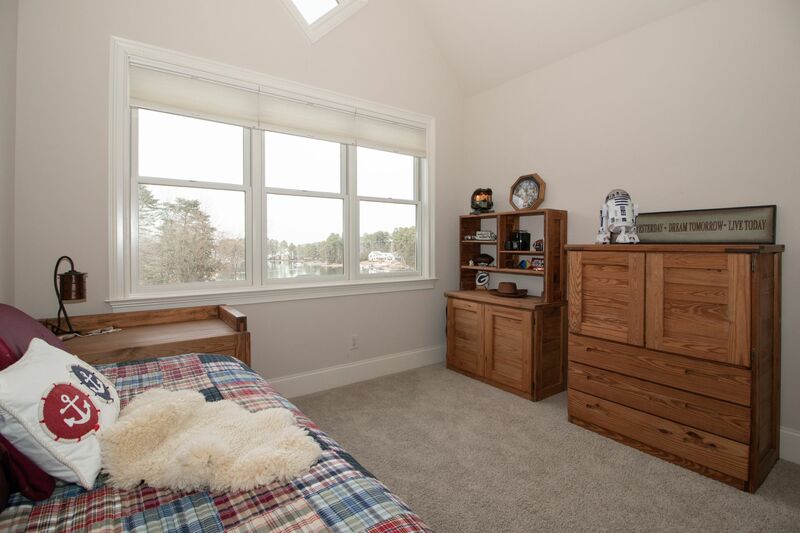 3 bedrooms (one w/ensuite bath, one with walk-in attic storage)/2 full baths & Bonus Rm w/2 attic access doors. 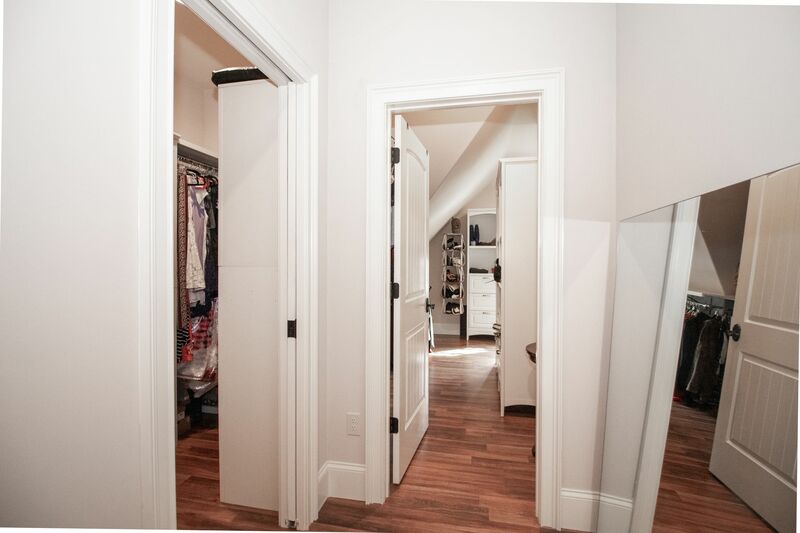 Upper level has great flex space currently being used as an oversized closet. 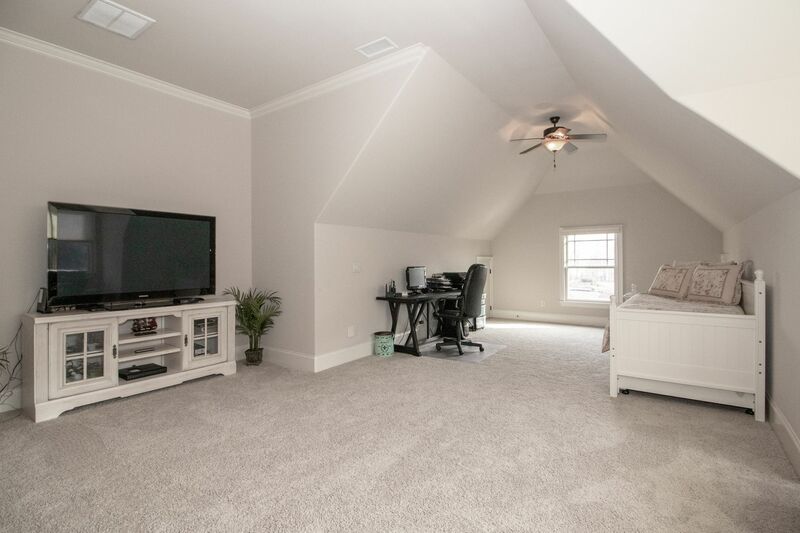 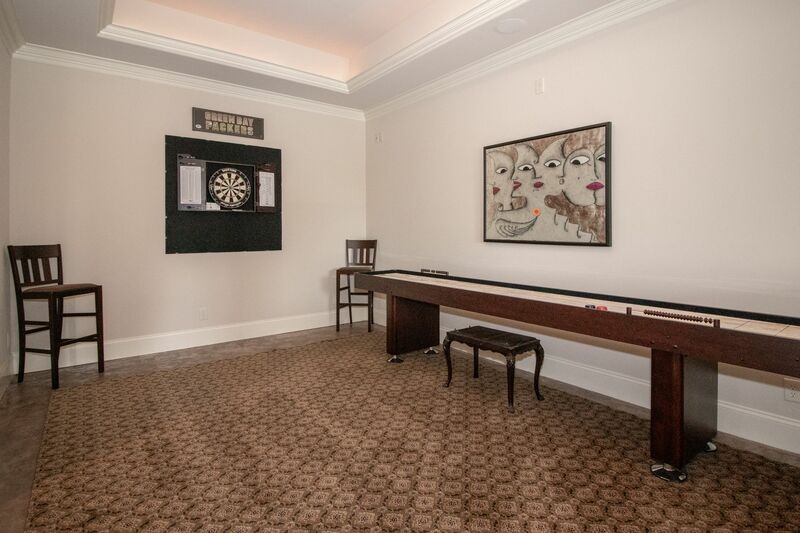 Lower lvl has potential for 2nd living qtrs- has game room w/lighted tray, Rec Room w/stone FP & built-ins on both sides. 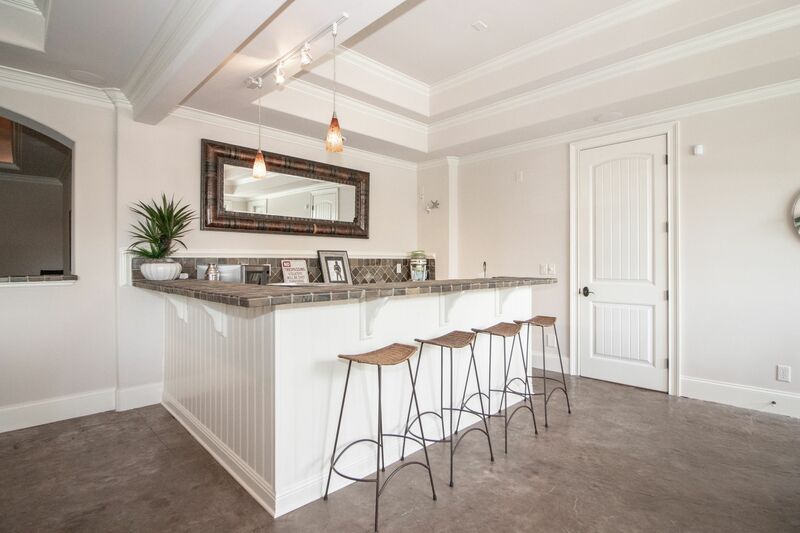 Bar area w/sink and seating. 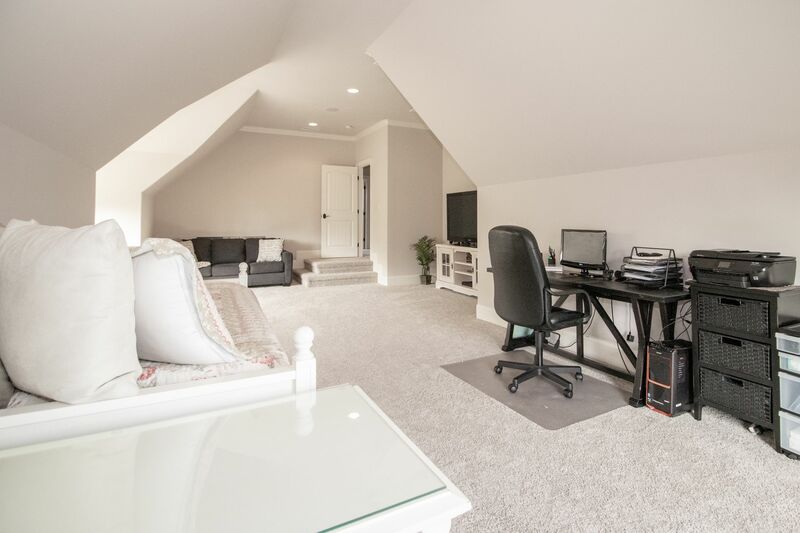 Office w/closet and walk-out to pool area. 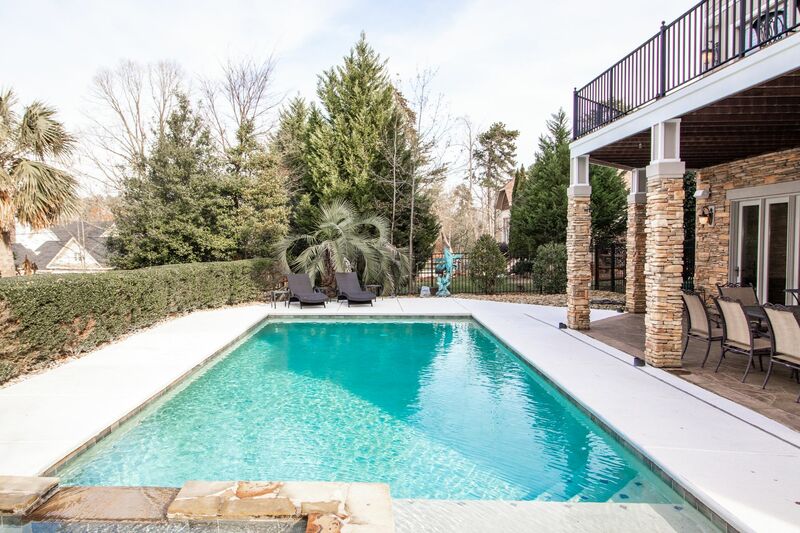 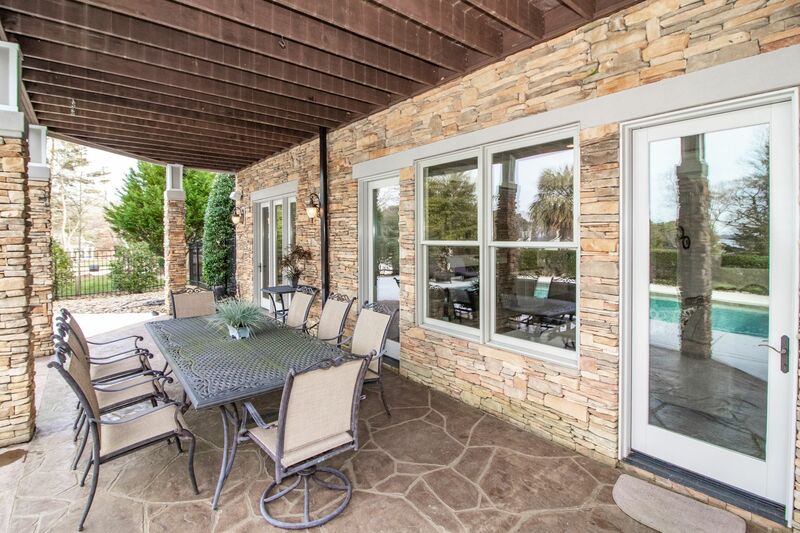 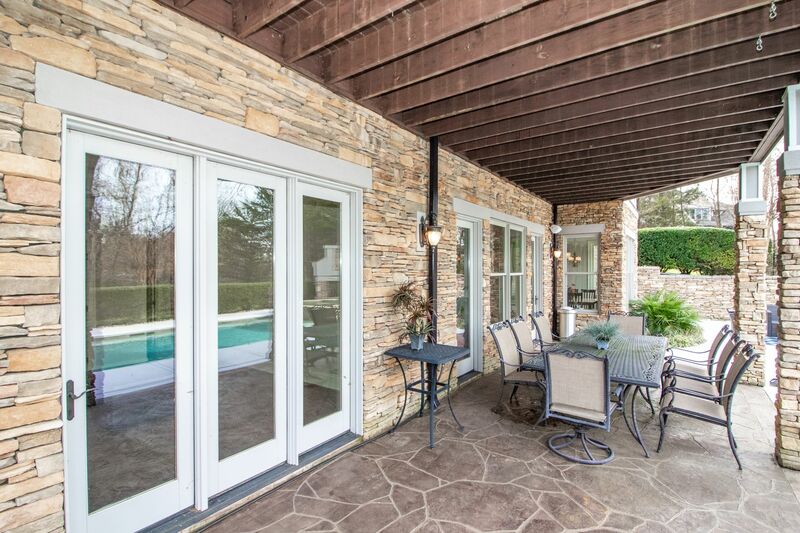 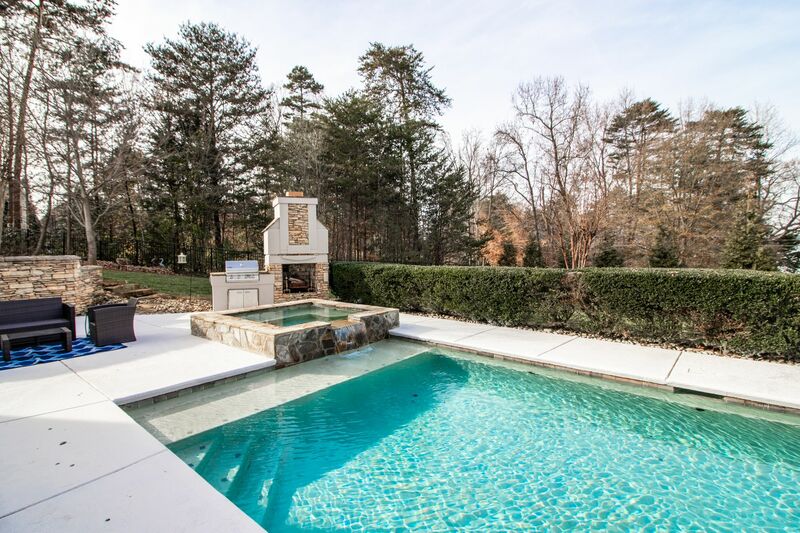 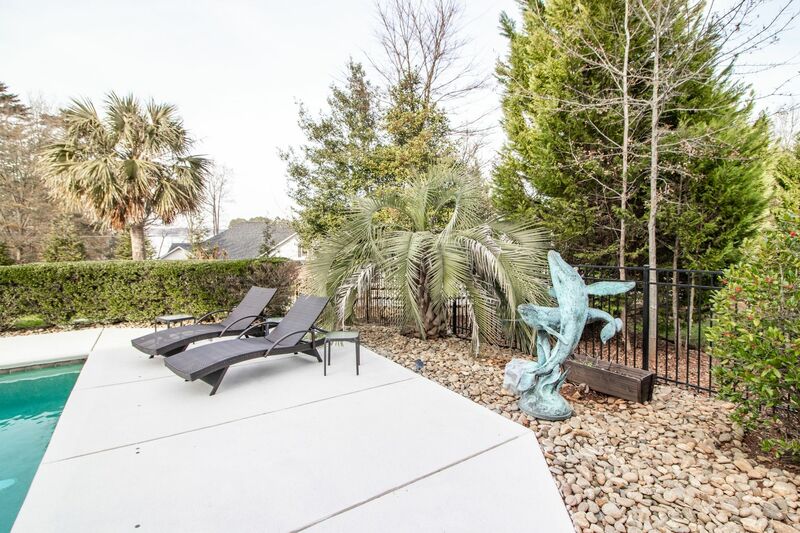 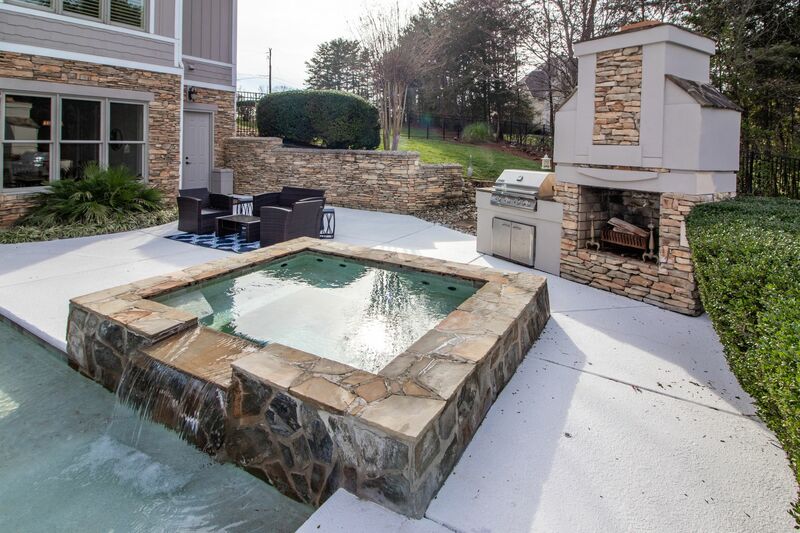 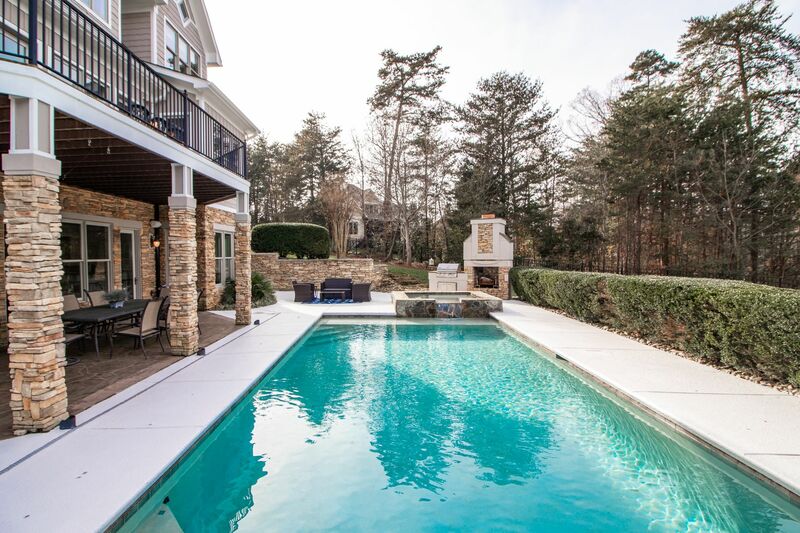 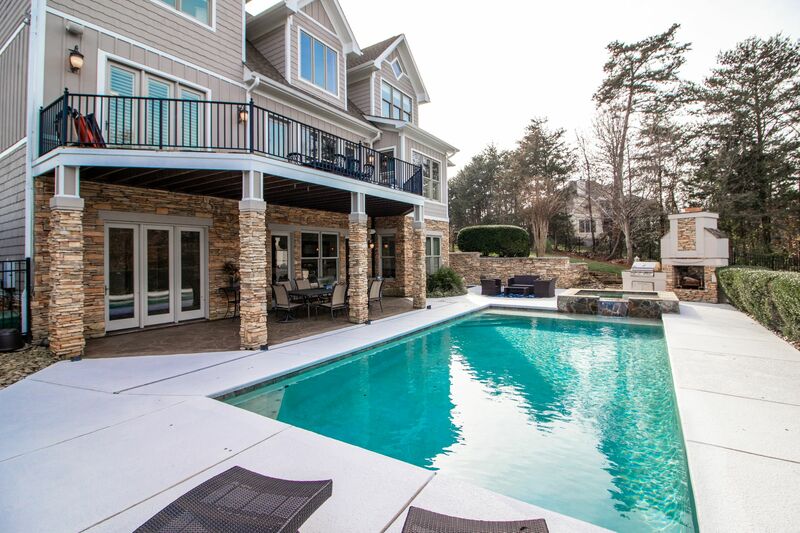 Salt water pool can be heated separate from hot tub w/waterfall, grill area at fireplace - great for entertaining!